WoPC Home > Italy > Austrian Lloyd Steamship Co. Possibly one of the most beautiful decks produced for commercial purposes, this was printed by S. D. Modiano for the Austrian Lloyd Steamship Company of Trieste in c.1895. The Aces and jokers have maritime references, and the back is an advertisement for the shipping line. The deck has the title Centaurus on the extra card and a sailor on the Joker. 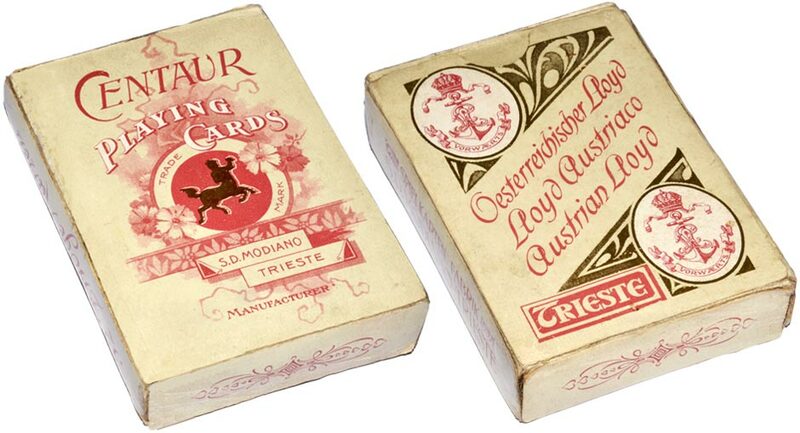 Above: “Centaurus” playing cards made by Modiano for the Austrian Lloyd Steamship Company, c.1895. 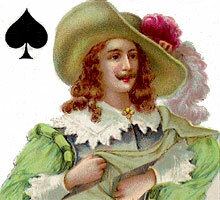 The four Aces feature maritime artwork and the pack also includes a “Funny Joker” and a title card. Images courtesy Rod Starling & Barney Townshend. 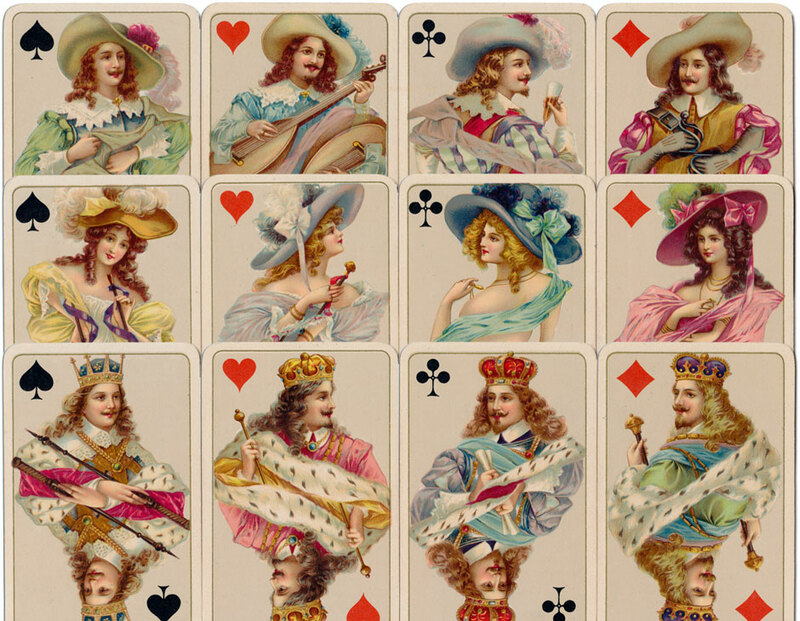 Several later editions have been published with different artwork on the four Aces and Joker, including indices in the margins (see “Club Bridge”). A patience size edition is also known. A replica was also sold with an Italian magazine in the eighties, also printed by Modiano, with the magazine's logo on the back. They also added instructions to predict the future with the cards.